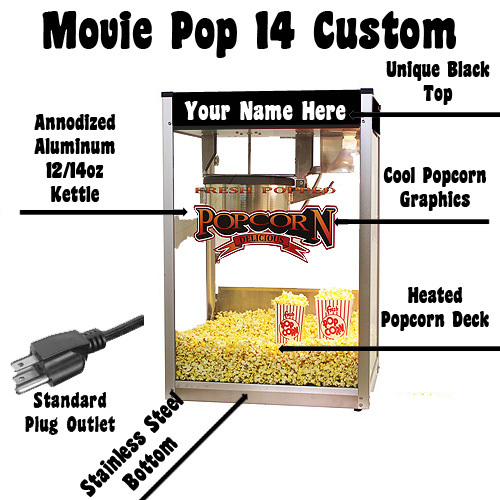 Imagine creating your own custom 14oz popcorn machine You can, with Paragon's Theater 14 popcorn machine. 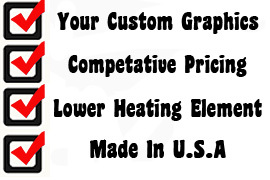 It features an anodized aluminum 14-oz. popcorn kettle. choice of black or red paint along with standard popcorn window graphics. You choose how the top should look. 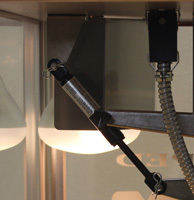 Separate warmer, stirrer, and kettle switches. Tempered glass sides, plexi-glass pair of doors, lower cal-rod heating element, old maid's tray for catching unpopped popcorn. 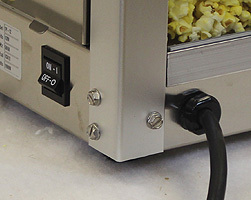 Dual rear on/off and kettle switches finish off this super fine popcorn machine. All of this and a high output of popcorn production while maintaining a standard plug outlet and when you use your imagination, you'll create a very unique popcorn machine. Here is your chance to own one of the hottest 14oz popcorn machines on the market and put your name on it!. Great for schools, banks, clubs, churches, and more. Standard top color is Red or Black. Sorry, no trade marked logos will be accepted unless the licensee is the purchaser. Choice of Red or Black Call with any questions. If ordered online, we will contact you for final name details. Otherwise, best to phone orders in.